1. Identify opportunities to sell product & solutions in order to generate revenue for the organization by presenting new/existing products and services and enhance existing relationship. 2. Ensuring effective achievement of targets and preparation of reports. 3. Preparing and giving sales presentations to prospective customers. 4. Monitoring industry trends as well as competition. 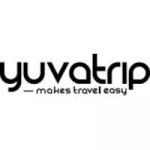 Assistant Manager - Human Resources at Yuva Trip Pvt Ltd.